Back in the day, a good customer of the pinstand was one David Sutch aka Screamin' Lord Sutch. We made all the campaign badges for the electoral efforts of the Monster Raving Loony Party, on behalf of which he regularly ran for Prime Minister. 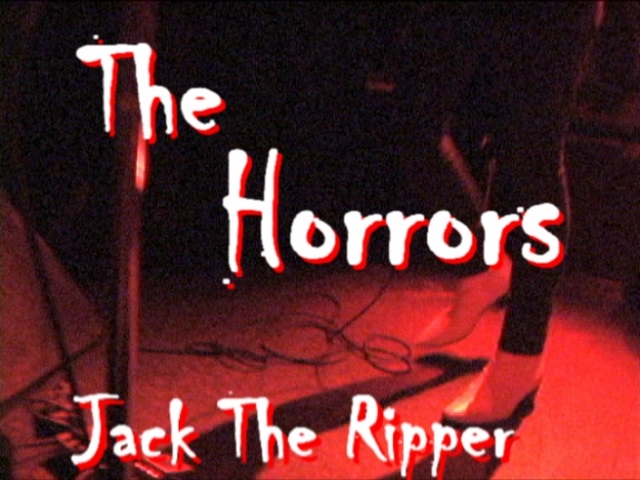 Now that he's passed on, it was gratifying to hear one of his songs - Jack The Ripper (clip below) - covered, in glorious style, on Halloween Saturday night at the very groovy MisShapes party at Don Hill's, as the opening number of current brit sensations The Horrors' first ever USA appearance. They made a good job of it, adding slinkiness and a definite peter gunn bassline. 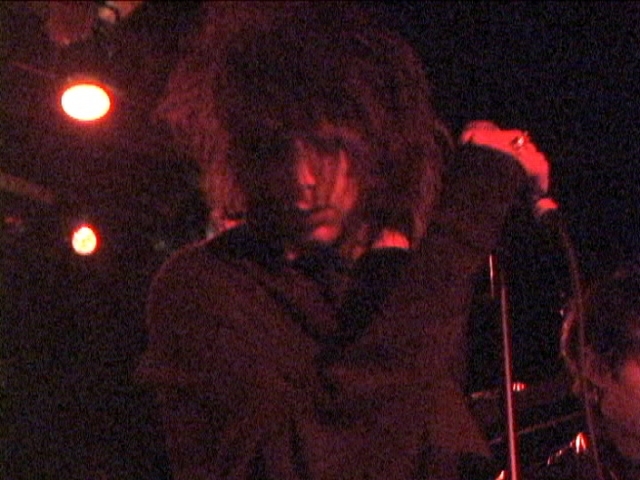 The Horrors themselves sound thoroughly authentically goth-1965. Their rep is mainly built on some hysterical NME coverage, and a Chris Cunningham directed video of the second song below 'Sheena Is A Parasite'. Endearing them further to us is the news that Nik Nik YYY is to produce their album. Singer Faris 'Rotter' Bagwan is known for his Fagin-like mannerisms. During the course of the show he made frequent sudden sallys into the crowd, warning all to keep their wits about them. Counsel he might himself have heeded as, famously, at a subsequent NYC show he encountered a fist or two in the process. Clicking the images will take you to the tunes on YouTube. The h.264 is iPod-ready. There is a DVD. See a clip of Sutch's original version of Jack The ripper.